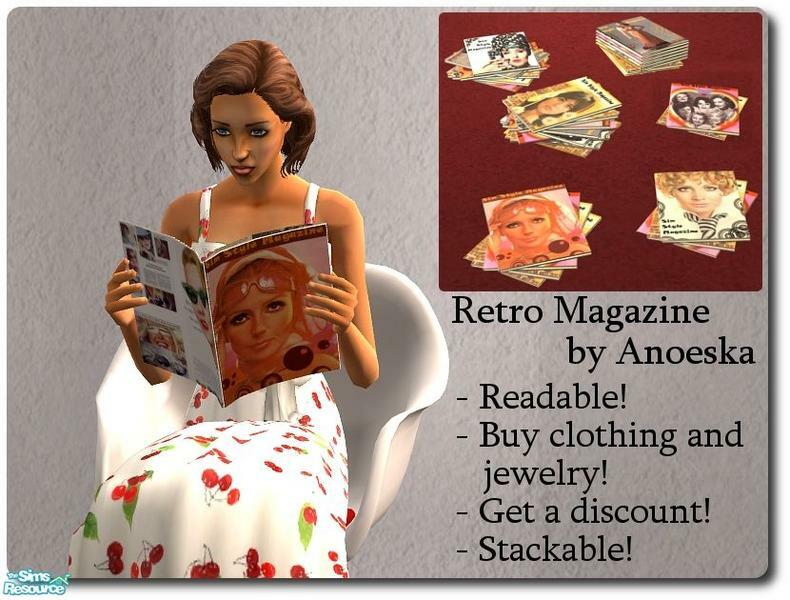 Description: Readable custom magazine for your sims that also allows you to buy clothes and jewellery with a chance to get a 25% discount. 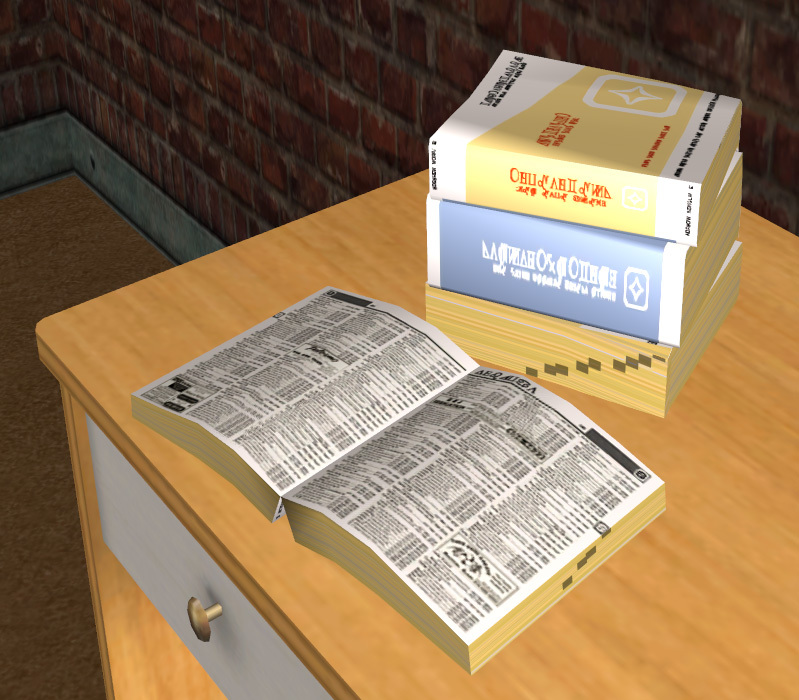 Description: A book that allows you to look up your neighbours' numbers. After you select a sim, they will be added to your relationship panel. 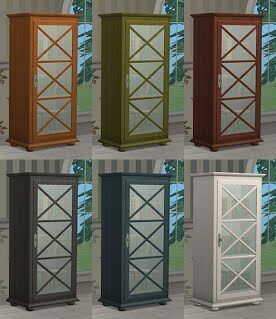 Description: Built-in bookcases in different designs and colours. 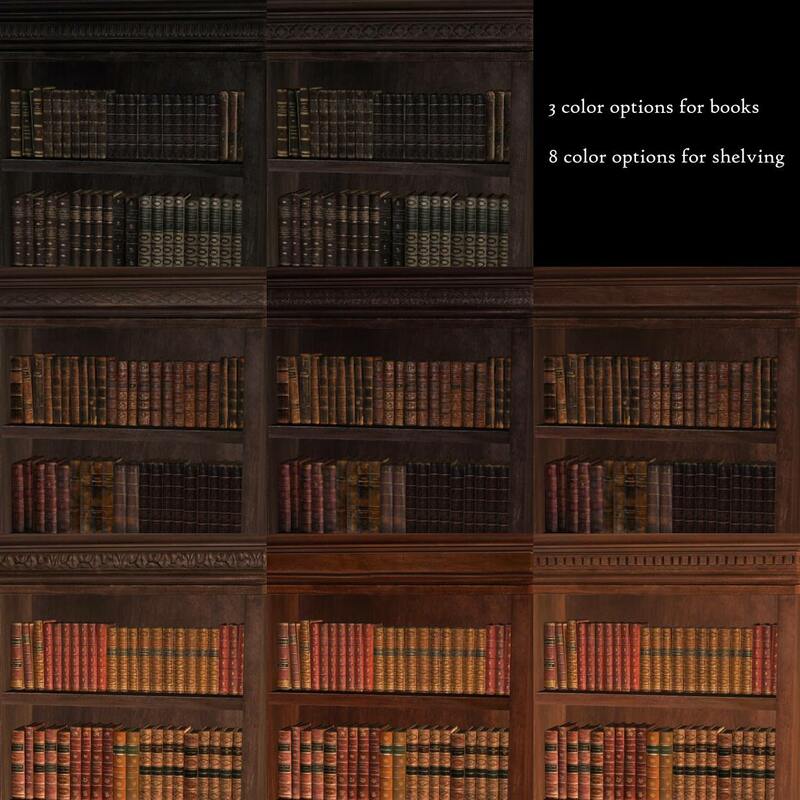 Description: A book that modifies sim personality points when read. 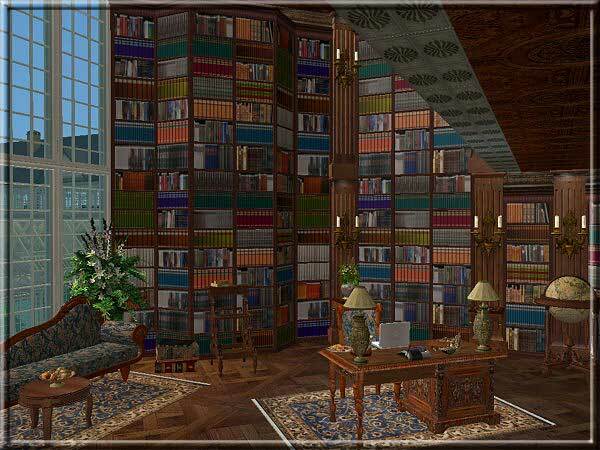 Description: Streifen bookcases and shelves in different colours.